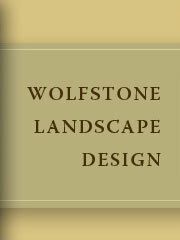 Lynn is a wonderful designer, patient and attentive to client needs. She took a very old and very flat front yard and entryway to our house and gave them a unique look. We live in a walkers neighborhood and many of my neighbors commented on the beautiful transformation Lynn created. Lynn was amazing to work with; she was professional, courteous and a pleasure to work with. She was completely in tune with our landscaping needs. Our yard presented some "intriguing" challenges and she rose to the challenge and provided us with a design that we love and we will carry us forward for many, many years. I would highly recommend Lynn. We hired Lynn for landscaping design services only; we are "do it yourselfers" and are doing most construction and installation work ourselves.